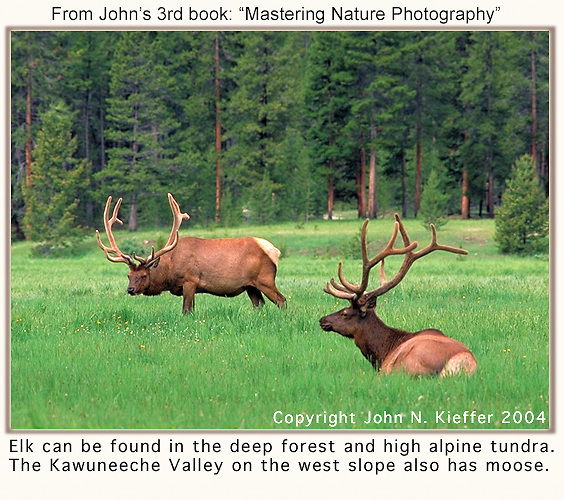 It's not uncommon to view elk (wapiti) in the mountains of Colorado. Rocky Mountain National Park photo tours. Click the above CONTACT button for inquiries. Colorado tours by Outside Imagery.